Beginning Squash Learn to play the exciting game of Squash with expert instruction from top professional player Roy Ollier. This comprehensive video covers everything you need to know to play the game and improve your skills. Among the topics covered are: rules and scoring, equipment, warm ups, basic techniques, serves and returns, practice routines, simulated games, game strategy and more. This video is a great resource for new players and has more than enough detail to be beneficial for experienced players or coaches. 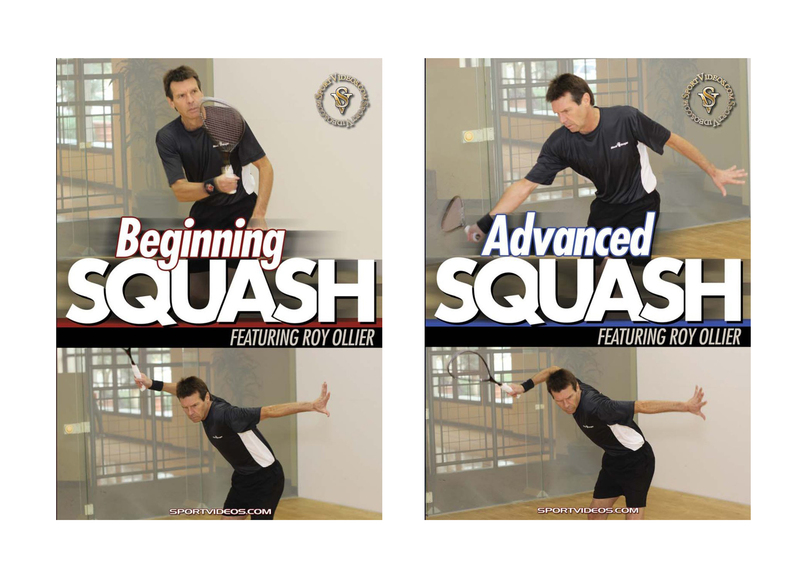 Advanced Squash Take your squash game to the next level with the help of top professional Roy Ollier. This comprehensive video reveals the techniques, training methods and playing strategies needed to become a champion. The topics covered include: a variety of serves, return of serve, numerous drills to improve footwork, agility, and stroke mechanics, plus much more. This program is an excellent training resource for any serious squash player or coach.